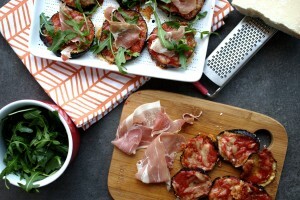 Aubergine/Eggplant Mini Pizzas-Gluten & grain-free. Friday night used to be pizza night in our house for as long as I can remember. I would batch-make homemade pizza dough and keep it in the freezer to pull out when we needed it. When I first decided to start the Specific Carbohydrate Diet (SCD), I mourned the loss of our long-standing Friday night tradition. How would we continue Friday night pizza night without gluten and grains? The truth is that being on SCD has fueled my passion for food and cooking more than ever. I am happiest when I’m experimenting in the kitchen recreating our classic favourites with a healthy twist. Aubergine/eggplant mini pizzas is just one of the many tasty dishes that features regularly on our weekly menu. This recipe was originally inspired by my grain-free lasagna which I posted last week. I had forgotten how much I loved aubergines and I thought they would make a great grain-free pizza base. 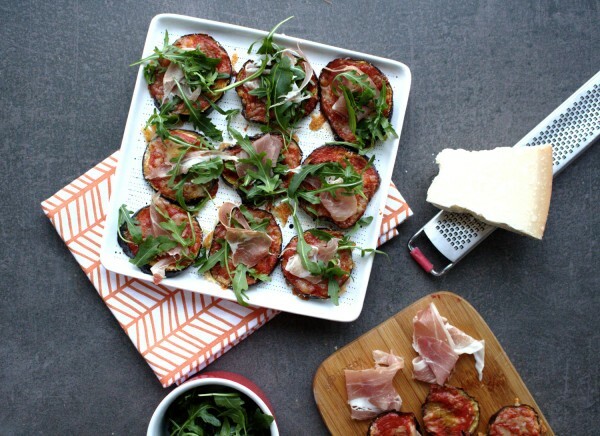 Thus I created aubergine/eggplant mini pizzas! We made them several times over Christmas. These are quick (20 minutes in the oven), not to mention healthy and you can get creative with the toppings. When it comes to pizza toppings, I’m a traditional girl. Rocket, Parma ham and grated Parmesan is hands-down my favourite flavour combination. I often make a batch of these grain-free pizzas just for ourselves to eat while our dinner is cooking. My daughter, Ciara loves them and I feel better about giving them to her than a big ball of dough which was the usual in my pre-SCD days. These even taste great left go a little cold – if they even last that long! These work great as a party food too. They look impressive and fancy but couldn’t be easier to prepare. What’s not to love? 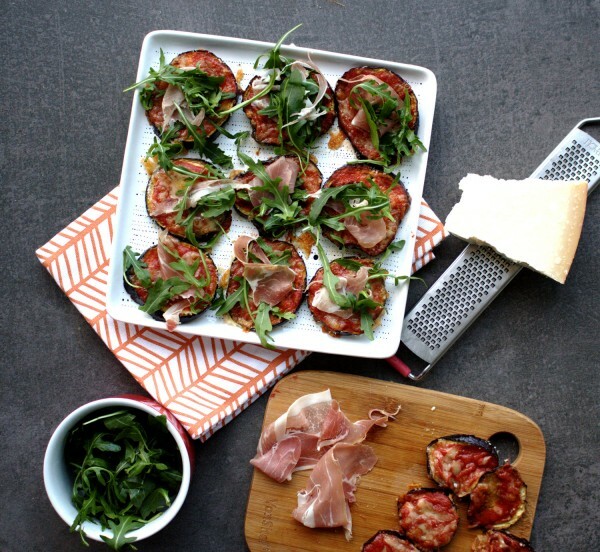 Delicious and healthy mini grain-free aubergine/eggplant pizzas. Perfect as a healthy snack or party appetizer. 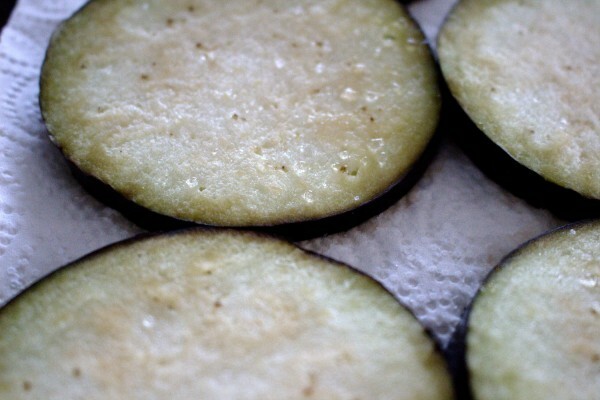 Slice the aubergine/eggplant into even 1/4 inch thick slices, discarding the top and bottom slice. 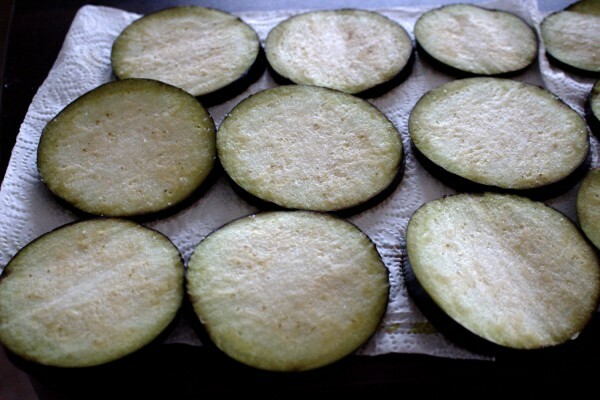 Lay the slices on paper towels, sprinkle generously with sea salt and allow to sit there for 15 minutes. This will draw the bitterness out of them. Preheat the oven to 180°C Fan, 200°C electric, 390°F or gas mark 6. 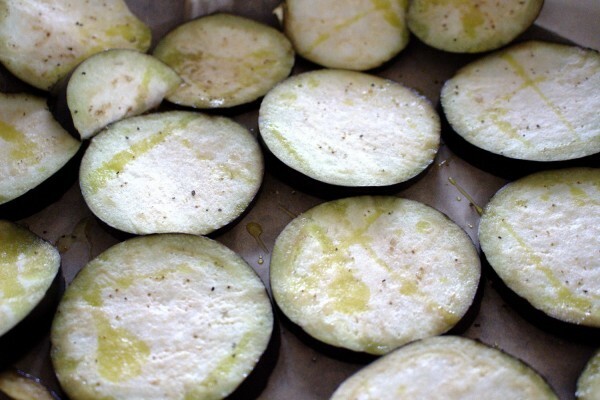 After 15 minutes you will begin to see beads of sweat appear on the aubergine slices. Pat them dry with more paper towels. Place the slices on baking trays lined with parchment paper. Drizzle with olive oil and season with a pinch of black pepper. Roast for 15 minutes. Top each slice with a spoonful of passata then some cheese and bake for a further 8 minutes. Add the Parma ham and rocket just before serving.